It’s been a remarkable month for women in political leadership. With the UK’s recent vote on Brexit, Theresa May is poised to become the first British Prime Minister since Margaret Thatcher (and only the second ever). It also appears that Hillary Clinton will be the confirmed presidential candidate for the Democratic party and by November 9th, the United States may have its first female President, ever. Noodle that for a moment—both the United States and Great Britain may have female leaders (you can listen to Helen Reddy’s “I Am Woman” to set the mood, if you’d like). Regardless of your politics, it’s an exciting moment for women. It got me to thinking about women in the financial world and I thought I’d highlight a few female trailblazers who made their own mark in this male-dominated domain and lessons we can learn from them today. 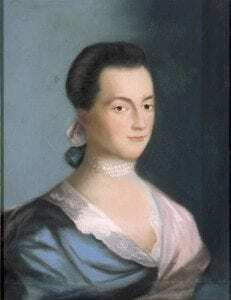 Abigail Adams is most often remembered as the wife to her husband, John Adams, who was the first vice president of the United States and the second president, and the mother of John Quincy Adams, the sixth president of the U.S. The loving marriage between Abigail and John—a match of two intellectuals—is well documented by the many letters the two sent back and forth. However, there was one topic that caused contention between the two of them (something that might sound familiar to anyone who is married)—money. While John was away on state business, he put Abigail in charge of the family’s money affairs. He instructed her to invest exclusively in land, but she realized that U.S. government bonds would be a better return on investment. Although the couple’s money was legally his under the laws of the time, she was able to put some aside and invest with the help of an uncle, who acted as a trustee. Her personal investments quickly began to accrue more interest than her husband’s suggested ones. Abigail is a role model for anyone who feels like their voice isn’t being heard when it comes to managing the family’s financial decisions. Although her husband was insistent about investing in land, her idea of investing in government bonds ended up being the better idea. She teaches us that putting all of your faith in your partner to make the right financial decisions is not always a smart idea. Do your research, get involved and make financial choices as a couple. 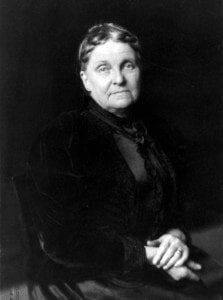 Hetty Green was born in 1834 to a wealthy family. By the age of six, Hetty was reading financial papers to her father aloud, and by age 13, she was the family bookkeeper. As she got older, Hetty’s interest in finances grew, and she is well-remembered for turning her moderate family fortune into a huge fortune that made her the richest women alive, at the time. At its height, her net worth was estimated between $100 and $200 million (back when that was real money! )—the equivalent of $2 to $4 billion today. Gossips at the time referred to her as the “Witch of Wall Street” and the Guinness Book of World Records even named her the “World’s Greatest Miser” for her extreme penchant towards saving; one rumor says she spent half an evening searching her carriage for a lost two-cent stamp. On the other hand, as one of her obituaries pointed out, the characteristics for which she was criticized would have been considered commonplace in a man. Hetty’s attitude towards investing and saving helped her amass her huge fortune and is still valid today. She made a rule of investing conservatively and always having enough money in cash reserves to last through any market tumult. 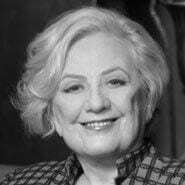 Muriel Siebert, Courtesy of Muriel Siebert & Co.
Muriel Siebert, better known as Mickey, is famous for being the first woman to own a seat on the New York Stock Exchange. In 1967, she founded her own brokerage firm, Muriel Siebert & Co. Inc. and that same year, she sought to purchase a seat on the NYSE. Doing so required sponsorship from two current seat holders and the first nine men she asked turned her down. 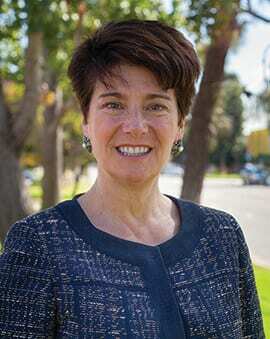 Eventually, she was able to land the seat and in 1977, Mickey was appointed as the first female Superintendent of Banks for New York State. During her tenure, she oversaw assets of $500 billion and not a single bank failed. When Mickey purchased a seat on the Stock Exchange in 1967, she was the only woman out of 1,365 men. It took another ten years for another woman to join her. Even if you feel like a fish out of water while navigating finances and retirement saving, persevere! Just like Abigail Adams, Hetty Green and Muriel Siebert, you can make your mark in your own financial history. Call us if you’d like help getting started or have questions along your way. We’re glad to help!